The cost of selling a NOLA home and moving can add up, so factor in the cost of preparing the house for sale, the real estate agent’s commission, and storage costs. Alternatively, selling the home to a cash buyer can allow you to bypass these hassles and unload your property quickly. Downsizing the right way can leave you with a more manageable property and more money in your pocket. New Orleans homeowners could want to downsize their homes for a variety of reasons: they’re retiring, trying to save money, or just want to simplify their lives. Empty nesters, seniors, and people in many other situations face downsizing. According to a recent survey, 42 percent of pre-retirees are likely to downsize or have done so already, with 25 percent moving to a warmer climate and 17 percent relocating to be closer to loved ones. When done right, downsizing can save you a bundle and feel really good. Living small(er) can mean getting rid of some financial burdens and time-draining maintenance tasks, and it also can leave you surrounded with only the things you truly need and love. There’s nothing wrong with having less space. According to the National Association of Realtors, the typical home purchased in this decade has had 1,870 square feet, with three bedrooms and two bathrooms. The average size of a new single-family American residence in 1950, however, was just 983 square feet. The average family then was 3.8 people, while today it’s 2.6. Before you move, getting rid of clutter or unwanted items should be part of an efficient packing plan. This doesn’t mean getting rid of your favorite possessions, but it does mean getting rid of duplicates and things you haven’t used in years. Before packing, decide what you’d like to keep, sell, or donate. Getting rid of what you don’t need serves another important purpose: You’re more likely to find a buyer faster if your home appears less cluttered. Decluttering is a crucial part of staging. Potential buyers are likely looking for more space than they have in their current home, so an uncluttered space will help them imagine themselves in your home. Prospective buyers should also be able to see and assess the condition of the house, including walls, floors, and storage spaces. Ask yourself just how much space you need now and down the line. 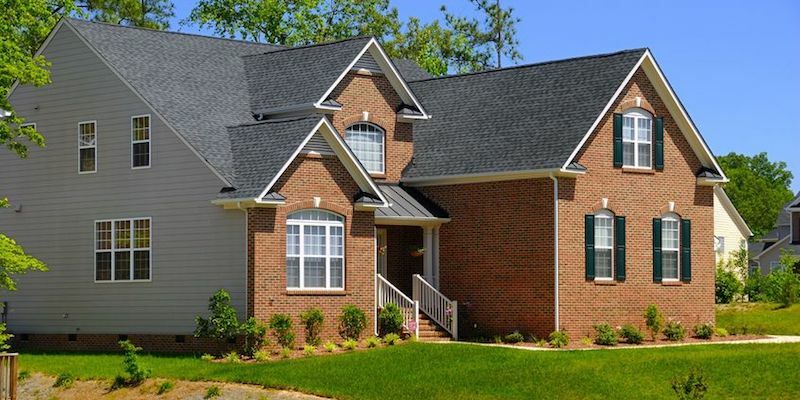 Determining what your needs will be in a new home will ensure a smooth transition. For instance, do you really “need” a formal dining room? Do you need extra space for a home office or that freelance business you’re planning to start? Do you need a guest room for when your kids visit? When downsizing, cost is another critical consideration. When you retire, having lower mortgage payments, property taxes, and utility bills can increase your cash flow. Running those numbers against the projected cost of moving can give you an idea of how much you might save in the long run. The cost of selling a home and moving can add up, so factor in the cost of preparing the house for sale (staging, repairs, upgrades), the real estate agent’s commission, storage costs, and so on. Not everyone has the energy, especially later in life, to undertake projects such as major decluttering or updating appliances. Some homeowners may not simply have the time to freshen up paint, or can’t afford to tend to those lingering items they haven’t gotten around to. You can downsize on your terms. Selling your house and moving doesn’t have to be a hassle and shouldn’t hold you back or stress you out. You can bypass staging and showings, and avoid commissions and closing costs by selling your home in its current condition, as is, to a cash buyer. No upgrades, repairs, or improvements are necessary. If downsizing makes sense in your situation, but the thought of all the work involved leaves you with more doubt than excitement, learn how to sell your New Orleans house as is, or contact Big Easy Buyers at (504) 513-7878 for more information on how we help NOLA homeowners move property quickly.